Advanced settings like crossover and phase for advanced users. BOOST THE BASS. The HEOS Subwoofer adds seismic bass to all your sound - wirelessly. 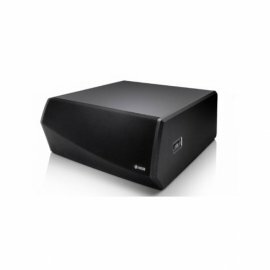 With its powerful amplification and optimised drivers, this wireless subwoofer works with the entire HEOS range, from any HEOS speaker to HEOS Bar, HEOS AVR, HEOS Amp and HEOS Link. You can combine the HEOS Subwoofer with another wireless HEOS speaker to give your sound more depth. Alternatively, you can pair it with the HEOS Bar and two HEOS speakers as rear channels. You‘ll get a fully wireless 5.1 cinema surround sound experience. Setup of the HEOS Subwoofer takes a matter of minutes. Simply connect it to your home network and any other HEOS devices and you can experience dramatic bass instantly. Control all your sound via the HEOS App. It‘s really as simple as that. Get room-filling sound by linking the HEOS Bar to the HEOS Subwoofer and create a breathtaking 3.1 setup, without any wires.